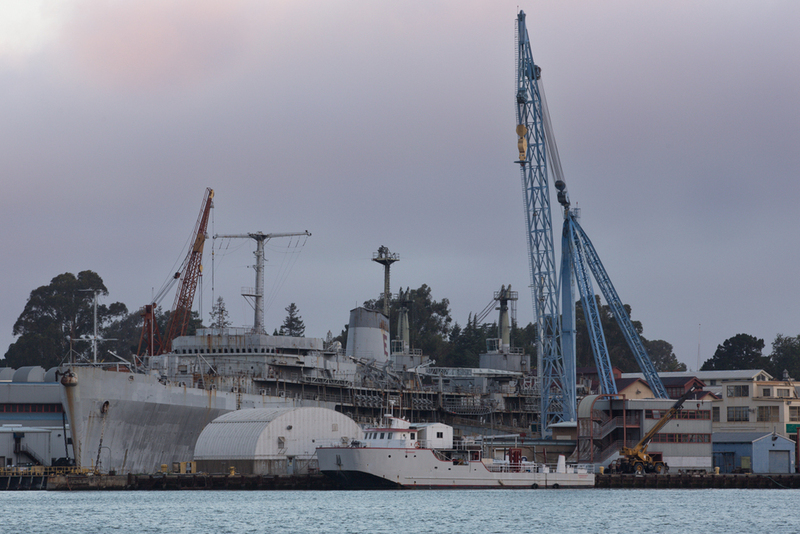 The USS Holland, the second Hunley class submarine tender, was removed from the Suisun Bay Reserve Fleet on Thursday, July 10, 2013. 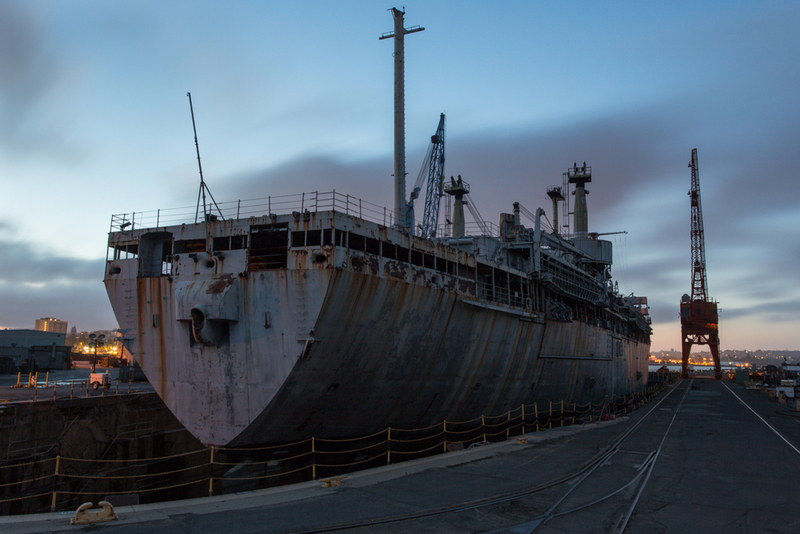 She was transported to Mare Island where her hull will be cleaned, by Mare Island Ship Yard, prior to her final journey to Brownsville, Texas to be recycled. For me this is a big moment, as USS Holland was the first ship I ever visited in Suisun Bay back in 2010. I was fortunate to have an opportunity to wander her corridors a few more time over the years, exploring the memories and artifacts left behind by the men and women who served aboard her. USS Holland was built by the Ingalls Shipbuilding Company in Mississippi and commissioned in 1963. Her mission was to service submarines, replenish food supply, fuel and weapons. She carried a machine shop and was capable of repairing any portion of a submarine. Her first major mission began in 1964 across the Atlantic Ocean in Rota, Spain where she took over for U.S.S. Proteus, restocking missiles and supplies to the Polaris Submarines. During her thirty three years in service, USS Holland was recognized ten times for battle efficiency. 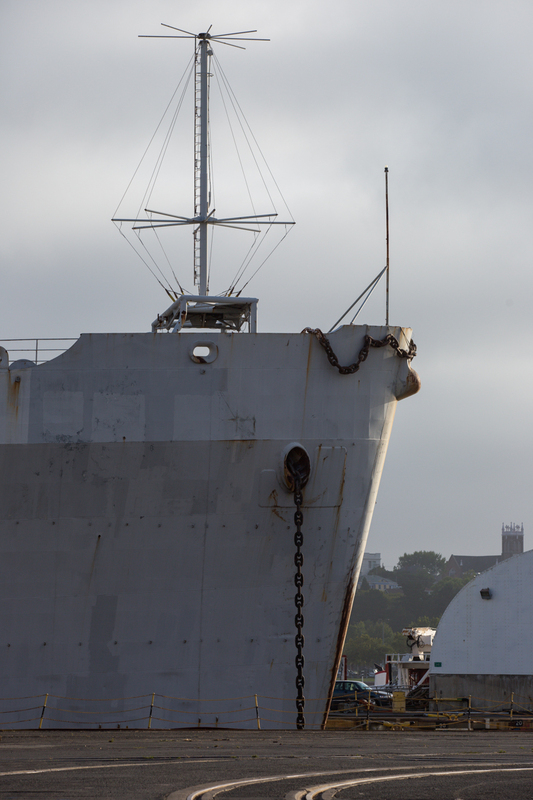 She was decommissioned in 1996, while in Guam, and placed in the Suisun Bay Reserve Fleet shortly thereafter. Read more about the USS Holland here.